Welcome to the Physics Department at the University of Florida. Research programs in the department. 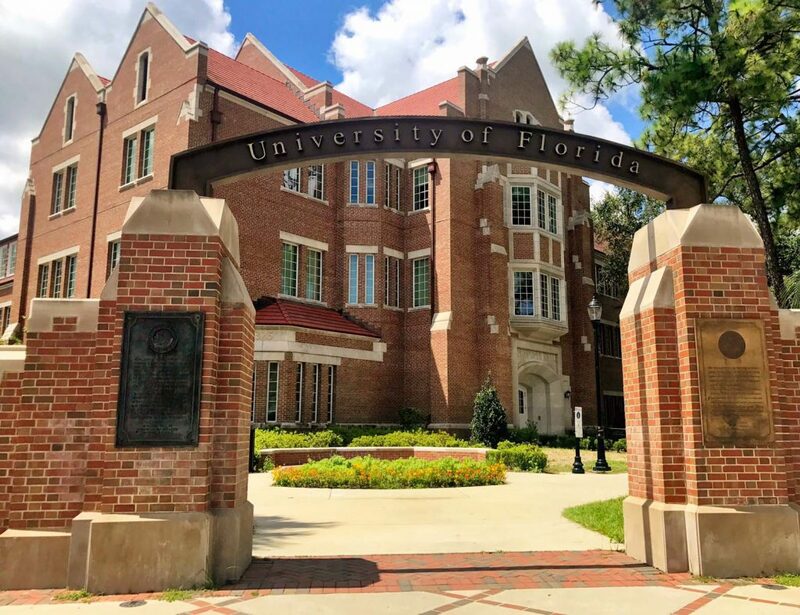 The Department of Physics at the University of Florida is making strides toward becoming one of the premier physics departments in the United States. We have active groups in astrophysics, biological physics, condensed matter/materials physics, and elementary particle physics. Our faculty are internationally renowned in their areas of expertise at the various frontiers of physics. Our undergraduate and graduate students participate in cutting-edge research that prepares them for successful careers in a wide variety of fields, many in of them pure or applied sciences but others drawing on the broader problem-solving and communication skills fostered by an education in physics. The research contributions of individual Physics faculty have been recognized through numerous national and international awards. Honors bestowed by the American Physical Society include the Oliver E. Buckley Condensed Matter Physics Prize (Art Hebard, 2015), the Dannie Heineman Prize for Mathematical Physics (Pierre Ramond, 2015), the Frank Isakson Prize for Optical Effects in Solids (David Tanner, 2016), the James C. McCroddy Prize for New Materials (Art Hebard, 2008), and elected Fellowships (for 30 current faculty). The University of Florida, together with Florida State University and Los Alamos National Laboratory, operates the National High Magnetic Field Laboratory (NHMFL), opening new avenues for the exploration of emerging materials and novel technologies. The Physics Department runs the NHMFL’s High-B/T facility, where researchers from all over the world perform experiments at the extremes of high magnetic fields and low temperatures. Members of the department are also involved in leadership capacities in many international, multi-institutional programs. UF has for 20 years played a major role in design, construction, operation, and data analysis at both the Laser Interferometric Gravitational Wave Observatory (LIGO) and the Compact Muon Solenoid (CMS) at the Large Hadron Collider in Switzerland, two of the major scientific projects of our times whose results paved the way for the 2013 and 2017 Nobel Prizes in Physics. The Center for Condensed Matter Sciences, the Institute for Fundamental Theory, the Institute for High Energy Physics and Astrophysics, and the Quantum Theory Project foster cross-disciplinary research between faculty in Physics and other UF departments.